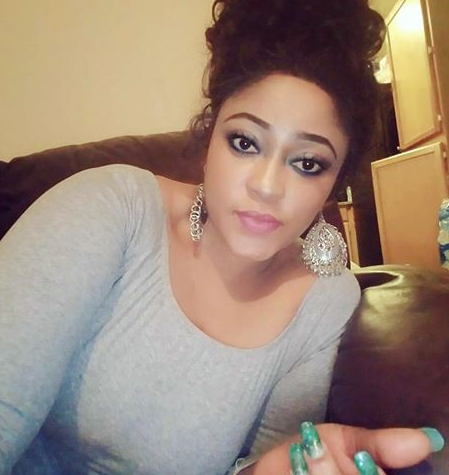 Nollywood actress Funke Adesiyan has called out her colleagues who resorted to begging when late Moji Olaiya family needed money to bring her body home from Canada. Life is funny. People are really not worth the trouble. The essence of being part of an association, group et al is so you can be there for one another in matters related to you all. 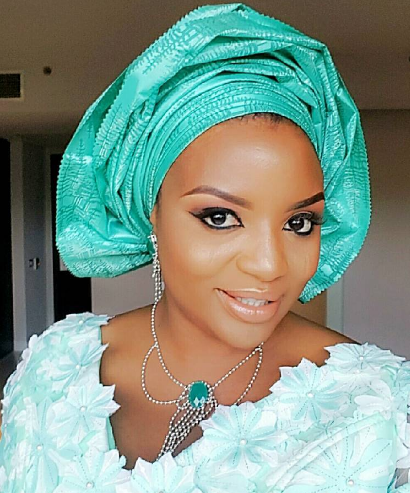 Its really a shame that many artistes came on social media, flooded Moji Olaiya’s house shedding tears and when it boils down to extending a helping hand, many chickened out. Artistes were billed 100k each to bring Moji’s body down. If 50 of us contributes 100k, we have 5million which is about $15k (medical rate) Many didn’t contribute a penny. All they know how to do is flaunt wealth that they dont have on social media. The house you live in is being paid for by others, the car you drive na dash, the supposed business you own, you are not making a dime from. My sister/brother, quit living large and forming rich on other people largesse. Forming oga madam on top nothing! You only have right to flaunt your own sweat. If not, siddon Jeje and make less noise please! We don’t need to turn to beggars to help one another. We all could be one another’s helper. If you are Moji’s friend/colleague and you didn’t contribute a dime towards helping to move her down, you should take her picture down! Thank you to the very few artistes, socialites, friends who contributed to save the day. To those looking for celebrity comments,nobody needs to drop a comment to counter Funke,she maybe right to some extent, that doesn’t mean that i concur to this post, because washing our dirty linen in public is uncalled for…..if there are artists who has done nothing to support, that might not be too good but that should be an in house thing, not for the public, at the same time we should not forget that fingers are not equal…and then no artist will come on social media to give lists of artists who dropped their widows mite towards bringing Aunty Moji’s body home, our left hand does not need to know what our right hand did……such noise is uncalled for. But all being said,i implore us to allow the soul of the departed rest in Peace….None of us will die in our Prime in Jesus name Amen! kaji layo o. The lady said the simple truth. Why all this begging thing for a celeb. If Celebs are seeking help for everything, what will the average Nigerian do? Funke Adesiyan,,, God bless you. It was a true statement said at the right time. Funke Adesiyan God bless you for that writes-up. Yeyebrity buruku! Yet they weren’t contempted with the USD30k Asiwaju gave them they want him to make it 40k has promised. They are all empty barrels with the loudest and disturbing noise. Today they are in Uk, next US and so on…….who them EPP? Mchew. They prefer to buy bleaching cream, snap pictures and over edit it on social media and they will think no one fine pass them! #Awononiranu#AwonBeggars#Fakepeople#Fakelife# Don’t pray for such again Amen. Mercy Aigbe, hanza the question na! Moji olaiya lived a private life, see them dragging her out in death shameless people. God bless you Funke Adesiyan for saying the truth. All the public display of fake wealth, the display of SUVs and other cars that mean nothing here, what you eat for breakfast or lunch or dinner, Gucci bags, this house, that house, party on a yacht etc. all are fake and sign of immaturity. Most of these things are funded by their thieving politician sugar daddies or boyfriends or sugar mummies. 150 pairs of shoes( just for only one person ooo) Vanity upon Vanity!!! But when it comes to helping each other many we flaunts their lackadaisical attitude, they lost their senses of solidarity. calling out to the Commoners for help who can not afford to buy just two pieces of perfumes,is their priority After all, they we started washing their dirty linens in the public. Just only one person among you can afford to donate this money. Shameless people!!! Anyways, is not your fault all if not that old unless, senseless so called the wealthy abuja based Alhaji that impregnated aunt Moji who is not bold enough to come out to take his responsibility. After all, U were referred to as wealthy Alhaji. May God have mercy.